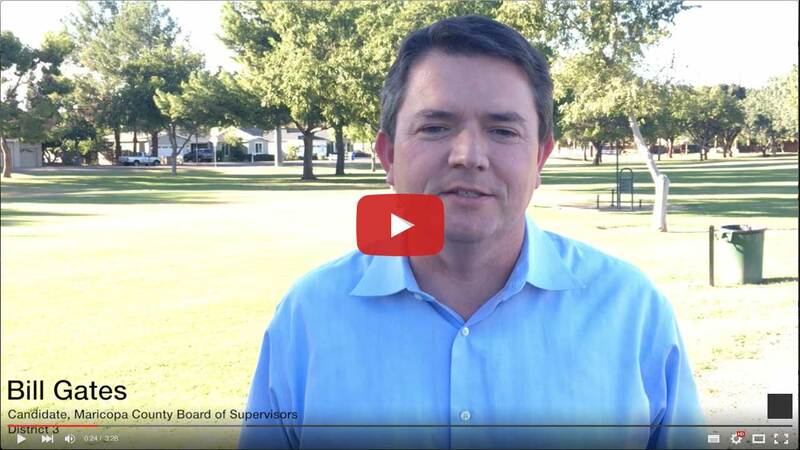 Transcript: My name is Bill Gates and I am running for Maricopa County Supervisor District 3. In these times of record high debt and record low level of trust in our national government. It’s never been more important to elect leaders at the local level who have high integrity and are effective. 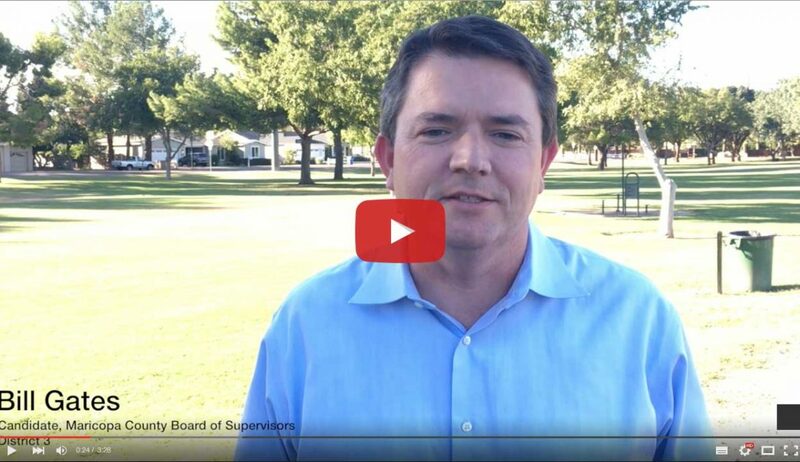 I am running for Maricopa County Board of Supervisors because I want to make our neighborhoods stronger. I want to bring more jobs to Maricopa County. I am committed to going to the Maricopa County Board of Supervisors to fight ever day for our hardworking taxpayers. Early ballots have gone out in the mail and I am asking for your vote. Bill Gates for Maricopa County Supervisor, District 3. Thank you very much.